Synonym for the grape variety Jacquez; look there. The red grape variety comes from the USA. Synonyms are Troya (Australia); Jacquez, Jacquet ( France ); Tintiglia ( Italy ); Lenoir ( Mexico ); Clarence, Deveraux, El Paso, French Grape, Jacques, Jaquez, July Cherry, Long Laliman, Longworth's Ohio, Alabama, Black El Paso, Black French, Blue French, Blue French Grape, Burgundy, Cigar Box Grape Mac Candless, Madeira, Segar Box, Sherry of the South, Springstein, Sumpter, Thurmond, Tintiglia ( United States ); Zakez, Zsake (?). It is probably a natural cross between the American species Vitis aestivalis and Vitis cinerea, as well as ev. 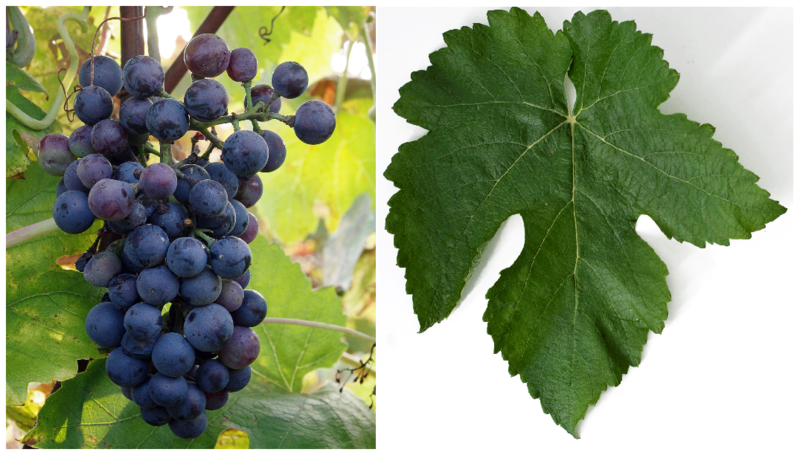 an unknown European Vitis vinifera, The US botanist Thomas Volney Munson (1843-1913) ordered the hybrid later the species Vitis bourquina to. This page was last modified at 19 October 2014 at 09:39.